Paul began his career working in his family business manufacturing animal feeds and machinery which were sold throughout the UK and Europe. A desire to spread his wings saw Paul leave the family business and become involved in the agricultural industry before moving into construction and finally into the recycling sector. 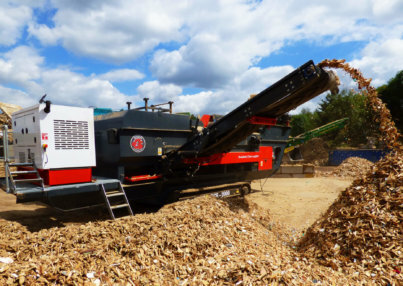 Having built up a large network of contacts and 20 years experience within the recycling Industry, Paul now provides value added solutions from the handling and processing, to the recovery and recycling of many waste materials, reducing the impact financially and environmentally of sending these materials to landfill. Paul now works for IQR Solutions AB to develop their business in the UK, from advanced systems for energy recovery to manufacturing of waste wood gasification technology in the range 6-15MW thermal. Their work is made up of a number of elements, but overall the target is the same: to develop sustainable solutions to help recover energy from waste materials. Paul also runs a used machinery business Recycling Plant and Machinery Ltd, which specialises in the sales and marketing of capital equipment. He also project manages installations and decommissioning of processing lines and in some cases the relocation to other recycling facilities.